My favorite — and the best — video game of all time turns 30 today! It was Sept. 13, 1985, that “Super Mario Bros.” was released by Nintendo in Japan. So much of my life has been devoted to Mario. I remember a birthday party themed in Mario. I still have the awesome little character figurines! Many nights throughout my life have been spent saving Princess Peach, Luigi or Toad; driving karts; jumping on Goombas; and beating Bowser and kids. Even now, just a few years older than the first Mario game release, I still get excited over my favorite Italian plumber, collecting Amiibo, playing new games and playing the classics. The “Mario” franchise has been called the best selling video game franchise of all time. Aside from saving the princess and beating Bowser, Mario and gang have appeared in tennis, kart racing, golf, drawing, role-playing, other sports and more games. Mario, himself, has appeared in a lot of games and media. 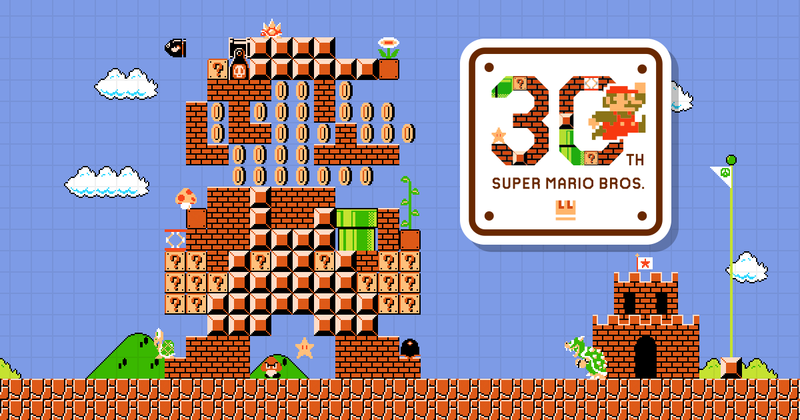 Take a look at Nintendo’s celebration of Mario throughout the years. This entry was posted in Mario, Nintendo and tagged mario, nintendo on September 13, 2015 by Bobby Cherry.